One idea for earning an income, online or locally, is helping people write Life Stories. 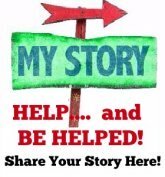 You can write your own life story, or help others with their memoirs, as an income. Dennis Becker offers this book: Writing Life Histories for Fun and Profit. Dennis is the author of many books on making money online and this one is good! I bought the book myself to help my parents with their life histories, trying to capture those memories before they are gone… the memories buried with them. You might do a website online, offering to help people write their histories. You could do this for people, worldwide, or for only those locally living near you. You can help them via phone, as a Life History Coach, or in person if you choose to do this locally. If you did this offline, you might put ads in store lobbies where you sometimes find bulletin boards, pass out flyers at a senior condo complex or any senior event. Just put your thinking cap on as there are plenty of ways to get new customers. This could be a FUN business for retirees who love connecting with others. You’d help them relive their memories, and get them into a written format – possibly adding their old personal photos to the book for a higher fee. Imagine using a publish-on-demand printer to print “real” books for the persons family. A persons story published in a real book for generations to come! Just one more idea for an online business…. one that could work online — or totally offline as a local business.